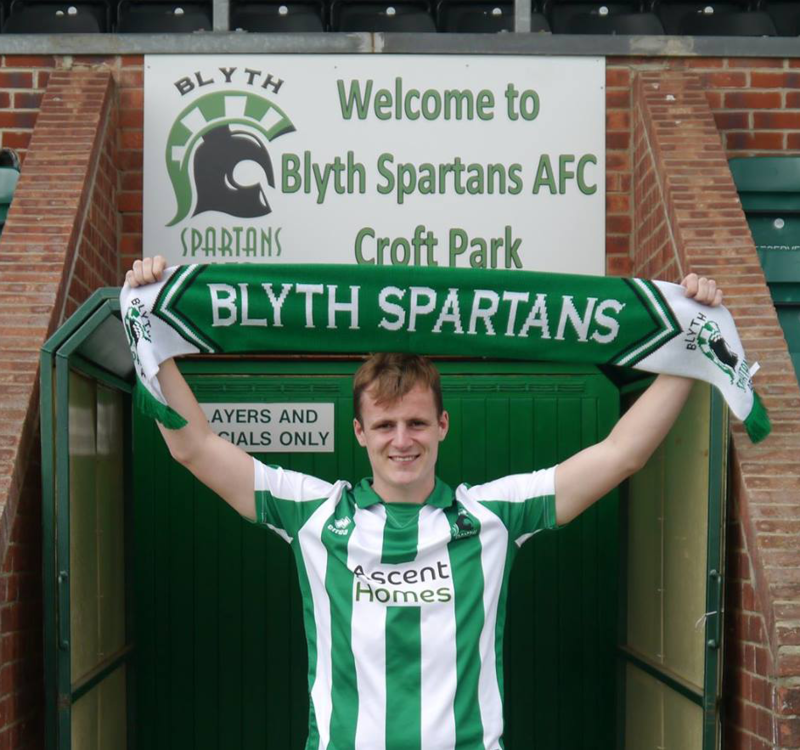 Blyth Spartans are delighted to announce the permanent addition of midfielder Kieran Green – who joins from Vanarama National League side Gateshead. The 20-year-old returns to Croft Park after shining during his two loan spells with Spartans last season – making twelve appearances in the green and white, scoring one goal. The former Hartlepool United Academy product became a fan favourite in a short time, showing a range of passing to rival any player at this level – becoming a lynch-pin in Spartans’ midfield. ‘Greenie’ started eight games for Blyth, with the side picking up 18 points from those games. His performances last year certainly caught the eye of Alun Armstrong, who made Green his priority signing this summer. “I’ve been trying to get this one over the line for a while, we tried to get him on a permanent deal during last season but we weren’t able to.” said the 43-year-old. “He was out on contract this summer and it was my priority to make sure he was here this season, he’s a fantastic player who really should be playing full-time football.